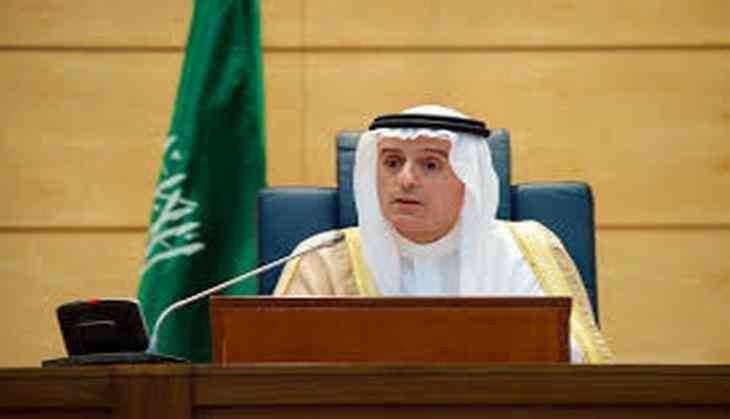 Saudi Foreign Minister Adel al-Jubeir has said that the Qatar blockade would stay unless the officials meet non-negotiable demands from Gulf nations to end backing of terrorism. "We made our point, we took our steps and it's up to the Qataris to amend their behaviour, and, once they do, things will be worked out, but if they don't, they will remain isolated. We don't have to deal with them," the Hill quoted al-Jubeir, as telling reporters at the Saudi Arabia Embassy in Washington D.C. on Tuesday. He also denied the idea that the Saudi-led blockade is "starving" Qatar citizens, saying, "They have access to the world. It just costs them a little bit more." Bahrain, Saudi Arabia, the United Arab Emirates and Egypt severed air, sea and land links with Qatar earlier this month, saying it was isolating it over its close ties with Iran and terror groups. Last week, Saudi Arabia handed down a list of 13 demands to Qatar as the price for lifting blockade on trade and diplomatic embargo. The list includes cutting back ties with Iran and closure of the Qatar-funded broadcaster al-Jazeera, the most widely watched broadcaster in the Arab world, which the Saudi-led alliance as a propaganda tool for Islamists that also undermines support for their governments. The list also features reducing ties with Iran and closing a Turkish military base. Qatar was told it had 10 days to meet the countries' requests. When asked what will happen if the demands are not fulfilled, al-Jubeir said, "We stay where we are. We've made our point, we've taken our positions. If Qatar wants to come back into the [Gulf Cooperation Council] fold they know what they have to do." READ NEXT >> 'Petya' ransomware disrupts companies across Europe, U.S.